Do you remember the National Day song, My People, My Home? Well, meet the Singapore female poet behind the lyrics to that song: Anne Lee Tzu Pheng. On top of writing one of the most iconic National Day songs, she has also written five volumes of poems, three of which won the National Book Development Council of Singapore (NBDCS) Award! 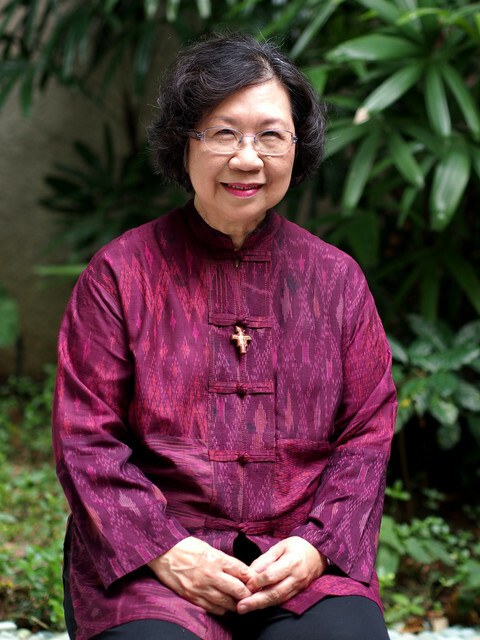 She was even inducted into the Singapore Women’s Hall of Fame in 2014! 1) How do you decide what book you’re going to read next? Generally, I don’t. The book decides for me. I see recommended books everywhere—from friends and family, award-winning books, books currently in the news or well-reviewed, and like most people I have subjects I would go for. But what I actually end up reading depends on how the book’s content strikes me—and I always prefer something with a simple style and pithy content. Having said that, I am always reading several books at any one time! 2) Have you ever experienced a sense of loss after you’ve finished reading a good book? If yes, how did you get over that? Loss? No. A good book fills me up like a good meal. And I know it is nourishing me internally somewhere, somehow! It’s a good feeling! 3) Has there been a time when you read something and was filled with energy and inspiration to write? If so, what was it that you read? Generally speaking, other people’s poetry always gives me some incentive to write, because it inspires with a sense of how people can use words to express human realities in a way no other medium can. There are other books that inspire in other ways. Memoirs and books based on someone’s life, with a strong sense of place in it, make me want to find out more about the place vividly called up in the book. 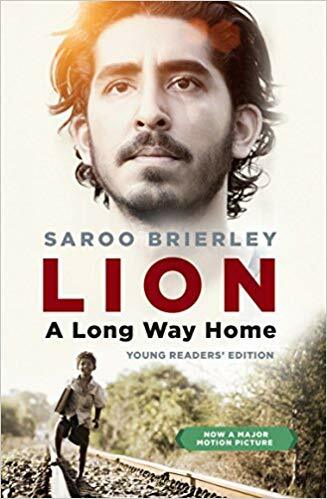 A recent book like Lion: A Long Way Home by Saroo Brierley was such a book for me. 4) Which genre of books have you never been interested in or found difficult to get into? I like all kinds of books, but find plays difficult to get into—I’d much prefer to watch a play being dramatised. Simply as a playscript on the page, it is too dry. Sometimes science fiction is hard to read when there is too much science and not enough fiction—by which I mean the human story is overwhelmed by technological details and scientific inventiveness. 5) What are some books you would introduce to someone to ease them into poetry? The best books of poems meant for children—not exactly the nursery kind but verses with a lively rhythm, witty use of words and ideas, and best of all, humour. The best poetry knows no age limits. 6) What, in your opinion, are some of the must-read poetry books and why? I do not want to name titles, but I would recommend that a person reads the best poetry they can get their hands on, by dipping into various anthologies till they find something that appeals to them. Once a person understands what is going on in poetry, and values it—really values it—I would recommend Shakespeare. Yes, despite what may be howls of protest and disagreement, the treasures to be found in Shakespeare’s plays and sonnets are unrivalled in any age. We learn from him not only what poetry is about, but life and human beings, in equal measure. 7) More younger writers are trying their hands at writing poetry. Is there any advice you would give them? Read, read, read other people’s work—good work. Write only when you have to, not when you want to. What you should NOT do is want to be a poet—it is the most unwise motivation you could ever have. 8) Do you have any peculiar reading habits that people don’t know about? E.g. Smelling a good book before reading it. 9) Do you have any reading habits or ways of organising your books that might surprise people? I wish I could organise my books better! And I would certainly welcome having more periods of uninterrupted, sustained reading! 10) Some people think poetry can be intimidating to get into. As a poet yourself, why do you think this is so, and how do you think poets can help address this? Not some, but many people think poetry is intimidating. There are many reasons how this has come to be. One of these, unfortunately, I attribute to too much self-indulgent poetry on the writing scene which excludes the reader, even the competent reader, who then, feeling ignored, is disinclined to enter a private domain in which he can’t detect any awareness by the poet of his (the reader’s) presence. When you don’t feel invited, naturally you would keep your distance. Even complex poetry can let the reader know his presence is acknowledged—sometimes simply through a judicious balance of innovative syntax and recognisable grammatical rules. I am quite concerned that if we continue to disregard people’s dislike of poetry and misconceived inability to read it, we shall end up becoming simply a coterie of writers out of touch with people’s real concerns about life. Literary writing has its uses, but if it doesn’t show awareness of the reader, it is just the writer talking to himself about himself. What could be more boring than that?